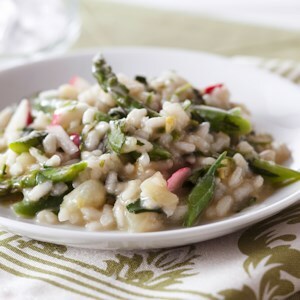 Find healthy, delicious fennel recipes, from the food and nutrition experts at EatingWell. 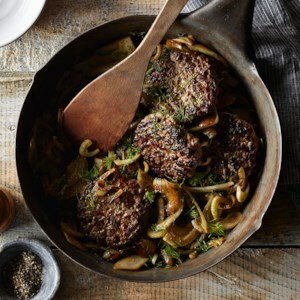 We swear by this pork-cooking technique for the most tender, flavorful results. 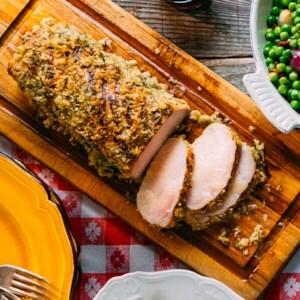 First the lean pork loin is brined overnight, then it's grilled and coated in a fragrant paste before it rests in a mixture of white wine, butter and its own juices. 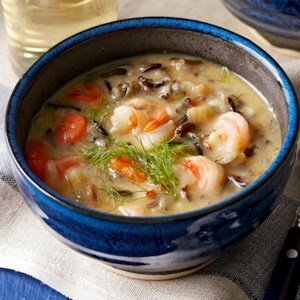 Bold fennel and mild leeks add incredible flavor to this hearty wild rice and shrimp soup recipe. 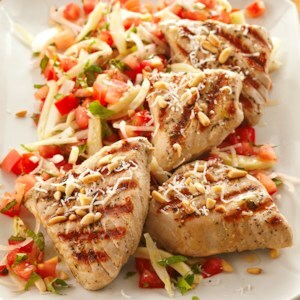 This quick and colorful side salad is a lovely accompaniment to fish, chicken, or pork. 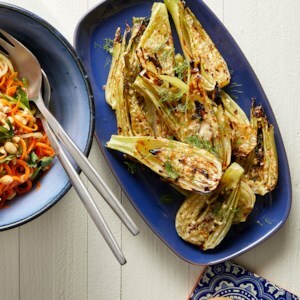 When slicing the fennel, don't discard the fronds! 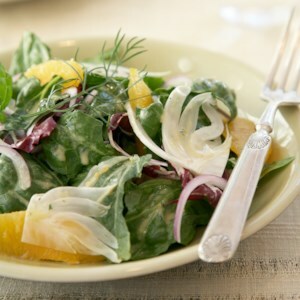 The wispy green tips resemble fresh dill and provide a colorful, anise-flavored garnish. 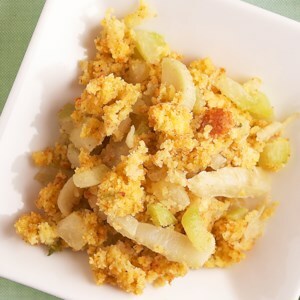 This unique cornbread stuffing is seasoned with sweet fennel and kohlrabi. Starting with a packaged corn muffin mix saves prep time and allows you to focus on other holiday dishes while this bakes in the oven. 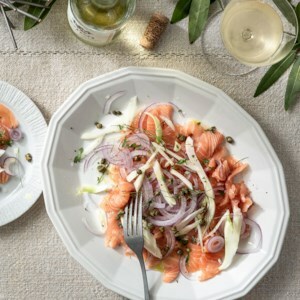 Briefly freezing the fish makes it easier to slice in this healthy raw salmon salad. 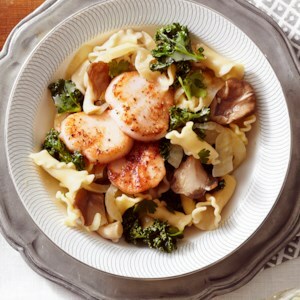 Serve as a first course or alongside your favorite Italian pasta recipe. Sweet, fresh-tasting fennel is a wonderful addition to the sautéed onions, mushrooms and garlic in the topping for this 20-minute bruschetta recipe. 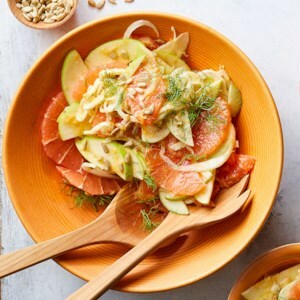 Slices of green kiwifruit, sections of ruby red grapefruit and fresh-tasting fennel--this fruit salad is bursting with flavor and gorgeous color. 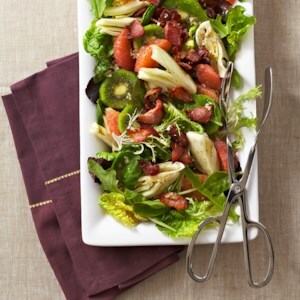 The crumbled bacon on top provides a pleaseant, savory taste that really compliments the sweet fruit. 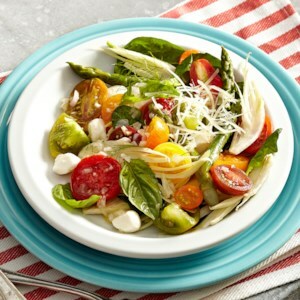 Fennel brings an anise flavor to this tomato basil Caprese salad. 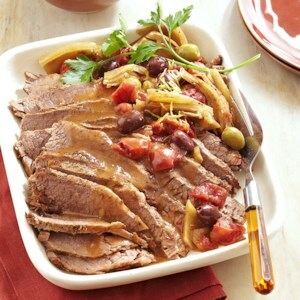 Take the hassle out of entertaining and use your slow cooker to make this delicious brisket at your next dinner party. 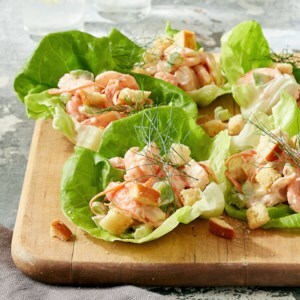 These lettuce rolls are filled with deliciously seasoned shrimp, tofu, fennel and celery, and are a great appetizer or snack. 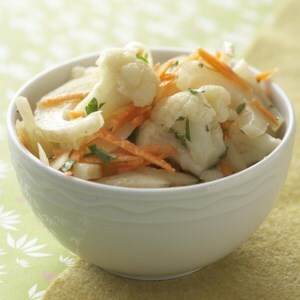 You wouldn't know to look at it, but fennel is in the carrot family! 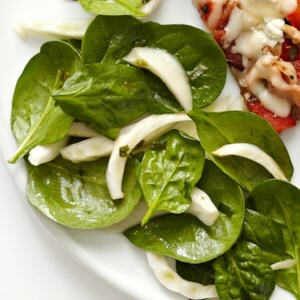 Its licorice-like flavor takes this simple spinach salad to new heights. Meet your new favorite topper for summertime barbecue foods and winter braises alike. 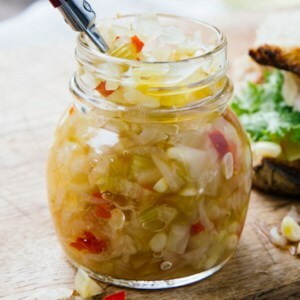 Generously spoon this sunshine-hued relish over anything that needs a hit of brightness, including but not limited to: burgers, hot dogs, pizza, pulled pork sandwiches, grilled vegetables, salads or even a cheese plate. No green tomatoes? Firm red tomatoes are a fine substitute. 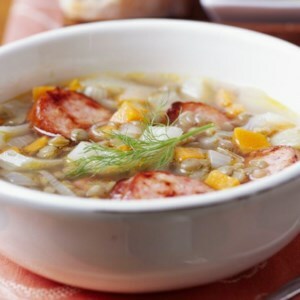 To save time, pick up some packaged coarsely shredded carrots in the supermarket's produce section for this recipe.